Prior to a major impact by Typhoon Nuri’s projected full strength, Japan’s fate took a turn. A technological insertion of MicroWave Electromagnetic Energy was made Operational. Quote on MicroWave_An electromagnetic wave with a wavelength in the range 0.001–0.3 m, shorter than that of a normal radio wave but longer than those of infrared radiation. Microwaves are used in radar, in communications, and for heating in microwave ovens and in various industrial processes._End Dictionary quote: Japan has historically had momentum in the advancement of electromagnets. The word ray gun was derived from a Japanese translation. Radar type Tech has been researched up and down for nearly 75 years that I can think of by Japan without a search. CIMSS Micro-Wave imagery shows the Operation that diminished this Super Storms Power. That is the story behind the story. First MSM reporting on the storm needs to be recapped. In large part it looks like the following data from the internet. 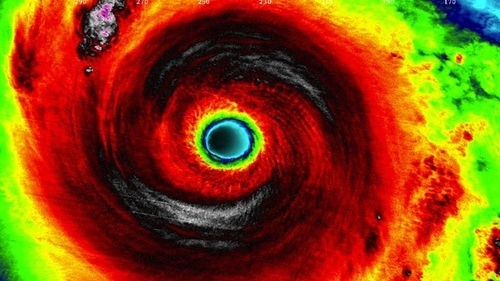 Monday, November 3, 2014, 1:26 PM – Yet another monster storm is heading for Japan, and depending on how it continues to develop, it may end as the strongest storm of 2014. Typhoon Nuri attained Super Typhoon status on Sunday. The Category 5 storm had sustained winds of 287 km/h, with gusts up to 352 km/h, rivaling typhoon Vongfong earlier this year. That storm also achieved Category 5 status, and made a direct hit on Japan, causing widespread power outages and being blamed for several deaths. The good news for Japan is that Nuri is currently not looking to directly impact the island nation, with current forecasts predicting a passage south of the islands before curling up toward the Bering Sea. With that said, reports go on showing the storm over the days. There are images from space of the storm. Here are some of the reported images and annotated frames as well. 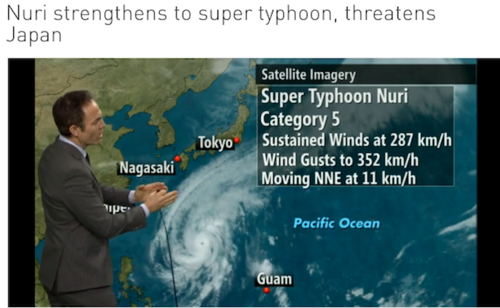 Now we get to the imagery at the heart of the Operation that diminished this incoming category five Typhoon. The loop is 72 frames at one per hour. They begin with the storm to the southeast of Japan. Here there should be two annotated images that show stills. On Chrome they are said to be security issues. 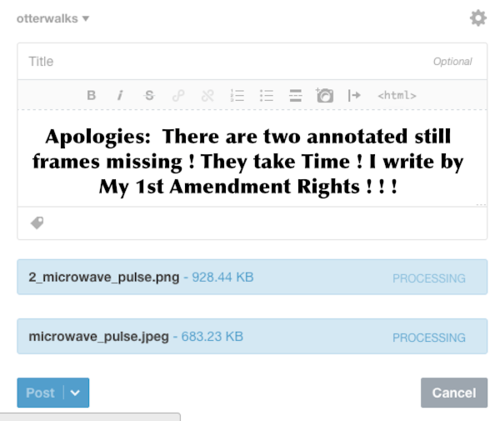 You may see the two copy icons on the right of the MicroWave loops. They seem to still be there on Safari. Hope you will find them, they have good detailed data. That it should work on the old school format and not on the upgraded is telling. Chrome systems do not want you to have precise data. Odd in that the same images are in the loops. They simply are left for the viewer to evaluate. 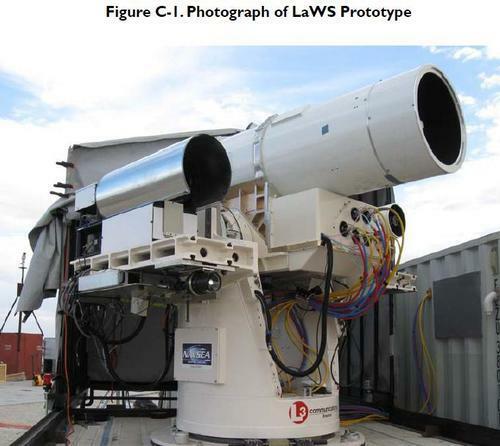 If you think there are no Laser Cannons or Micro-Wave emitters, here is an image of The LaWS Laser cannon on the USS Dewey. This is being retrofitted or built into Battleships. This was said of the USS Ponce Quote: It fundamentally changes the way we fight… said Capt. Mike Ziv, program manager for directed energy and electric weapon systems for the Naval Sea Systems Command. 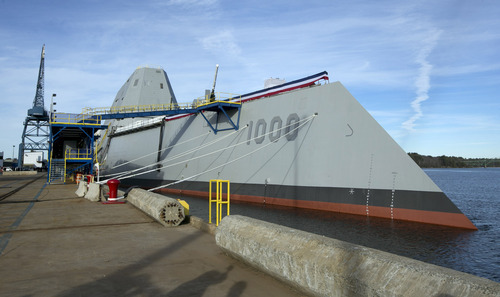 Here is the new stealthy Zumwait Destroyer. You can research it with ease. There you have mobile ocean going ships. There are platforms and land bases installations and mobile units as well. This is the Weaponry of the 21st century. It is here and now from Starwars labeled systems to Weather modification. I have my take on the origins of the Storm and reason it came into existence. That is another article. As well, if it had hit and crossed Japan, Ebola would no longer be of note! otterwalks: 6th November 2014 How about that sky?…! 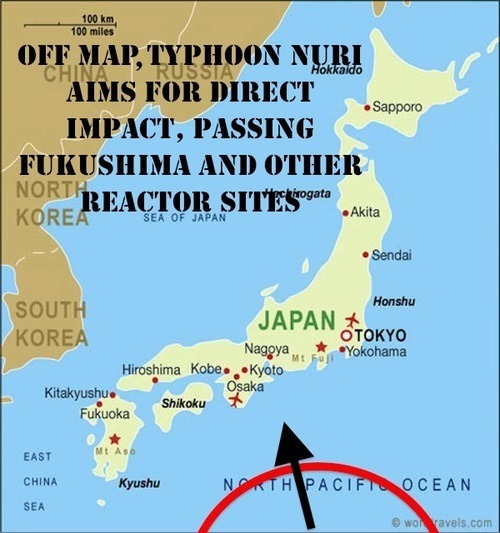 This entry was posted in MicroWave Weather Modification and tagged #Fukushima, #MicroWave Operation, #Typhoon Nuri, #Weather Weaponry, Japan, Weather Modification. Bookmark the permalink.